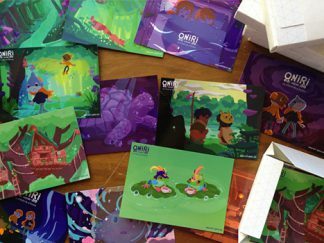 Oniri Islands is a cooperative adventure game for two players. You play Mina and Tim, two kids lost on a mysterious island, searching for their shadows. You will find animal masks giving you magical powers to survive. 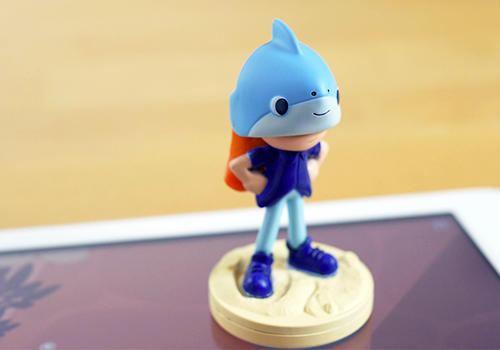 Mina and Tim are two smart toys that come to life on your tablet*. 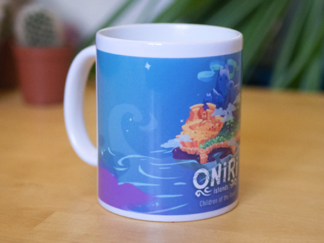 Move them on the screen to explore the fabulous world of Oniri Islands! 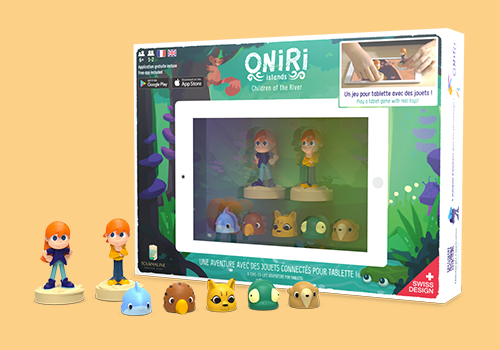 The game box contains two connected toys, five masks and a link to download the free application (iOS & Android tablets) Oniri Islands is made for adventure game lovers from 6 years old and up! 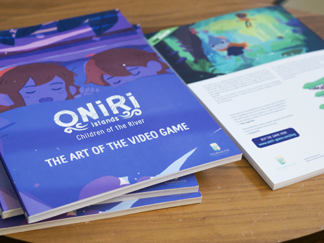 We recommend to play Oniri Islands with an 8-inch tablet or bigger. The game is working on iOS: iPad 3 or newer and on most Android tablets released since 2012. We do not recommend playing on a screen protected by a film. 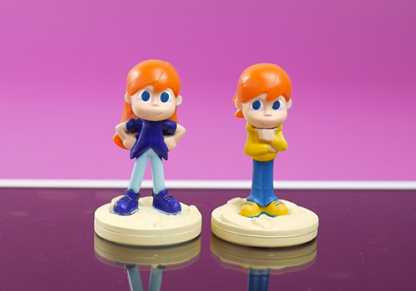 We noticed that on some tablets this could affect the detection of the toys. 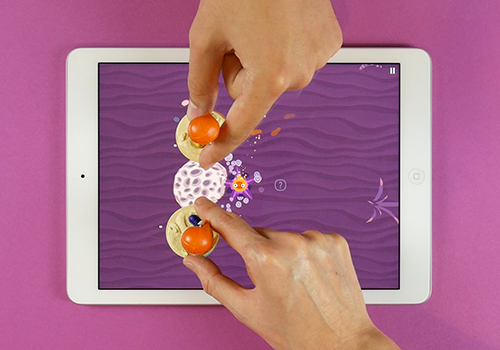 * Some Android tablets doesn’t support multi-touch properly. To know if your tablet is compatible with the toys, please download the Oniri Islands app (free) and do the compatibility test (bottom left corner button on the main menu).